DJ Lurk started collecting records at a tender young age to play on his Fisher-Price record player. Graduating in the mid-seventies from “Disco Duck Dance Party” to K-Tel’s “Full Tilt“, a DJ was born. After salvaging many castaway records and equipment from trashcans on his way to and from school, and a turn at trying to actually make his own music (drums, trumpet, harmonica, piano, keyboard, bongos…), he finally broke down in 1987 and bought his first 12 inch single: Paula Abdul’s “Straight Up“, which he still has – and plays – to this day. Purchasing a Radio Shack 4 channel DJ mixer and using two belt-driven, amplifier-included turntables with no pitch adjustment, he began to teach himself the rudiments of DJing by manually slowing records down with a well-placed thumb. Sinking a ridiculous amount of his disposable income into records for the next 15 years, DJ Lurk has become an accomplished thrift store vinyl digger as well as upgrading to more professional DJ equipment. 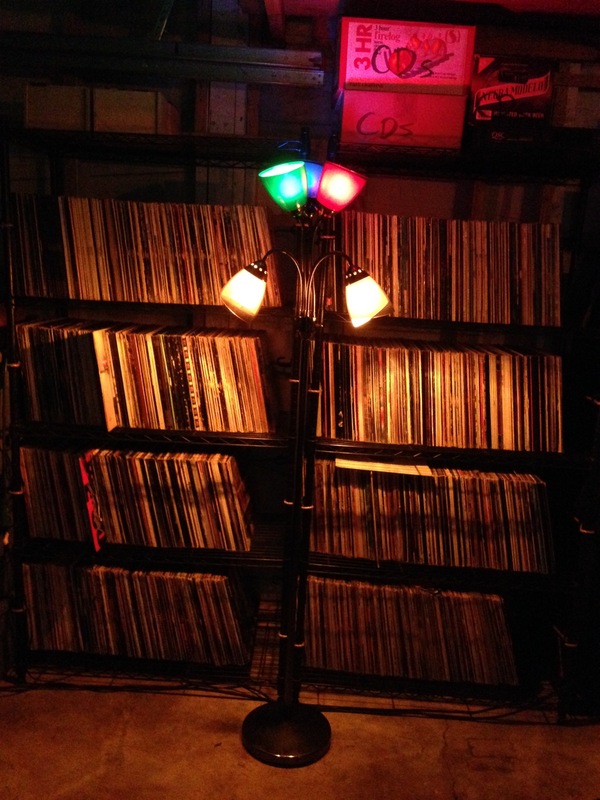 Adding CD mixers has enabled DJ Lurk to access the depth and breadth of his enormous, historical, and eclectic collection. In 1995, DJ Lurk started experimenting with burning CDs from his Macintosh PowerPC 8500 on an external SCSI CD ripper. This fetish has resulting in a wide variety of hand-picked, hand-mixed, hand-produced compilations of tunes that were usually made as Xmas gifts for friends and family. This continued a tradition of mix tape production from early high school. As technology advanced, records and CDs became prohibitively expensive to find and collect — although he hears there is a significant vinyl revolution going on — and MP3s became the currency du jour. The addition of a DJ touch surface and a MacBook Pro unlocked vast expanses of digital music for further exploration. As gadgets were acquired and integrated into the mixer monstrosity, DJ Lurk established an online presence, most notably with a live stream from Mordenkainen’s Parlour that he still occasionally fires up, usually with inspiration from malt liquor and the need to play house-rattlingly loud music in order to gauge the freshness of tracks old and new. This section is under construction to expand the selection of music and media from the inimitable DJ Lurk. BTW: No, you can’t have my domain name; this is the original DJ Lurk — accept no substitutes. DJ Lurk Official Site — no, I am not selling this domain, poseurs. DJ Lurk is not the greatest beat matcher on the planet; however, his song selection is preserving the unmistakable jams of five decades of music collection. They are preserved here for posterity and inspiration. Hey mike. I sent you an email about a week ago. Wondered if you got it. I have been reading some of your work online, and would love to communicate with you. I am still your soul brother.